Invoke Goddess Durga to help us annihilate all our weaknesses, helplessness and sadness. May everyone of us be blessed with name, fame, health, wealth, happiness, humanity, knowledge, bhakti & shakti. 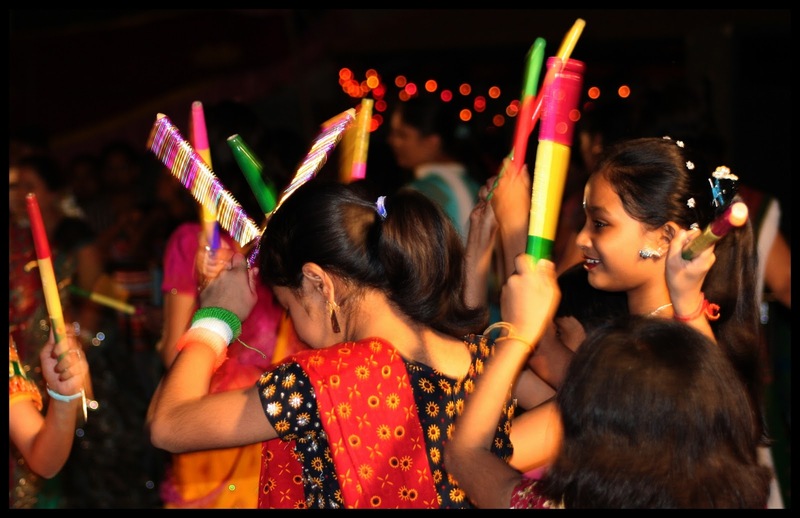 …and the celebrations aren't complete without Dandiya Raas performed by gorgeously dressed ladies.